You might want to double check your Smart Source coupon insert from the Sunday paper. 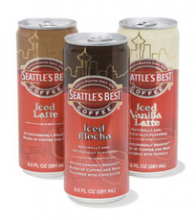 There is a coupon for a FREE Seattle’s Best Coffee Single! This is a regional coupon so not everyone received it. We didn’t have it in either the SF Chronicle or the Examiner. Let us know if your area got one!